CapApp-Service stands for exclusive and complete service offered as a package for renting your holiday residence in Cap d'Agde in the South of France. The definition of CapApp-Service is the one and only special place where you can enjoy comfort and an exclusive destination. 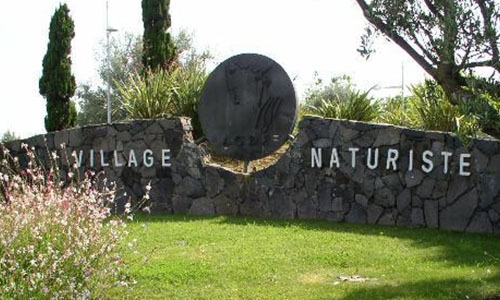 Agde is situated at the Mediterranean Sea in the Languedoc Roussillon department. Different towns like Béziers, Marseillan plage, Sète are only a few kilometers away from Cap d'Agde and are very worth while visiting. Agde Cap d'Agde are surrounded by water. Two waterways flow into the sea, the Hérault river and the famous "canal du Midi", which connects the Atlantic Ocean with the Mediterranean sea. A bicycle tour along this waterways is most relaxing and shows perfectly what this area has to offer you. 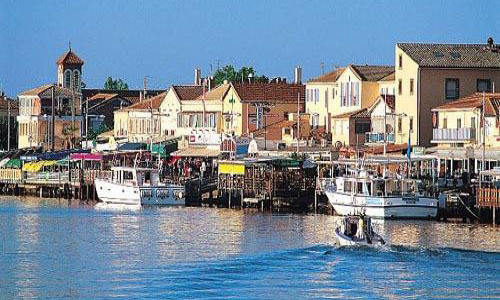 The old part of Agde, situated along the shores of the river Hérault, has Greek roots and a very rich history. About 4 km from town is a naturist complex which was developed in the sixties, and which now is one of the biggest naturist domains in Europe. 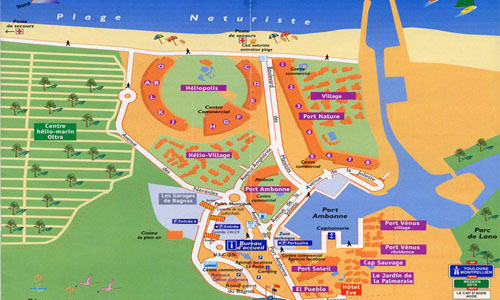 This area offers just something more than what can be fou d in other naturist spots. The whole domain is closed and entrance is only possible with an electronis pass, which you buy at the reception or on line. This gives you the possibility to enjoy your stay in a undisturbed way. Seamless sunbathing is possible on a kilometers long beach of white sand. You may prefer the physic contact with the sand or be on a sun beth with complete service, the choise is up to you. Cocooning in a pleasant way in company of people of different nationalities' sunset parties with live DJ's, everything is offered on this exclusive beach. Everything can be found within walking distance. Not further than a few hundred meters from the appartment there are a supermarket, bakeries, nice boutiques, caterers, launderette, doctors, nice restaurants or bistro's. You want to enjoy the nightlife ? A few ver exclusive clubs offer everything you want. A general idea is that the South of Europe has not much to offer in winter period. This is totally wrong. The Hérault region has 280 days of sunshine and has a lot to offer. Also in this naturist park several activities are organized around the period of Christmas end Year End. A fresh dive into the sea the last day of the year or maybe spending some good time in a discotheque. All this is possible which makes that a lot of guests come to spend this period of Christmas in the park. We remain available through the year to help you to work out some ideas. And last but not least, we have several promotions in winter period, which will help you to forget the northern climate for a while. Register yourself to our newsletter and we keep you informed about all activities and promotions.